760% Increase in Chinese Visitors to Morocco - The Maghreb Times ! 3.8 million tourists visited Morocco between January and May 2017, a 9 percent increase from the same period last year, the Tourism Observatory has reported. The number of foreign tourists increased by 12.3 percent, while the number of Moroccans living abroad (MRE) increased by 3.4 percent. 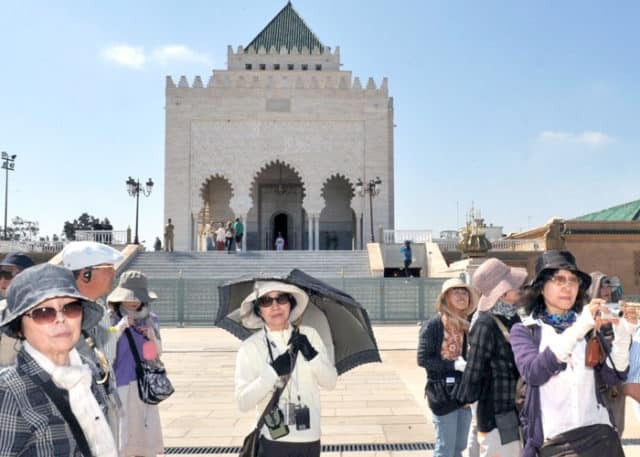 Chinese tourists in Morocco increased by 760 percent, evidence the Moroccan tourism industry’s broadening global pull. Japanese tourists increased by 45 percent compared to the same period last year, South Koreans by 42 percent, Brazilians by 35 percent and Americans by 34 percent. Tourists arriving from the kingdom’s established markets increased too: Germany (+9 percent), Spain (+8 percent), Belgium (+7 percent). The OT revealed that Marrakech and Agadir accounted for 60 percent of overnight stays during the five months, with the former increasing by 19 percent and the latter increasing by 16 percent. Stays in Fes also increased by 38 percent, while those in Tangier increased by 31 percent. Revenue generated by tourists from abroad was MAD 22.86 billion by the end of May, a 0.7 percent increase from last year’s MAD 22.7 billion.